Fast Eddies Fun Center, Pensacola, FL. Information, Photos and Reviews. 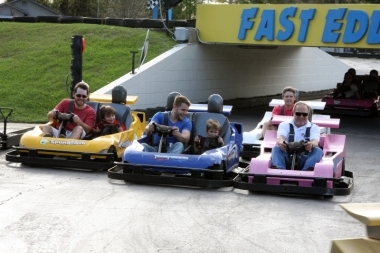 Fast Eddies Fun Center features family-friendly fun starting with 4 go-kart tracks. 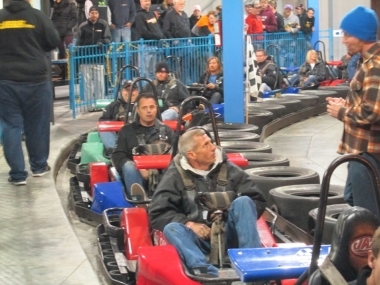 There's our Junior Racers track for the little guys (ages 4-7) as well as double-ride go-karts on our Crazy 8 track where little ones can ride free with an adult. Our Spinnin' & Grinnin' track has been a favorite with the locals for years and will give you a slip-sliding experience. Our fastest is track is Fast Eddies SuperKart Speedway for the ultimate racing enthusiast who's at least 16. 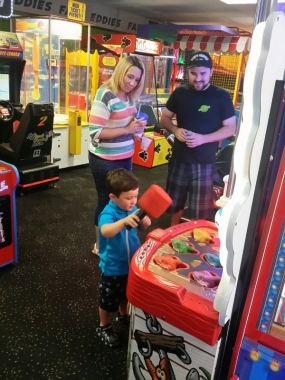 Test your skills in our large indoor arcade with redemption center featuring the latest games and prizes. Play a-round on Fast Eddies Funtastic Mini-golf, or get sprinkled, sprayed or saturated with the ultimate water balloon game-- Water Wars. 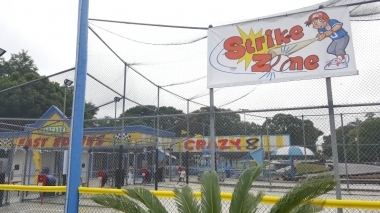 While you're here try our newest attraction, Strike Zone Batting Cages. You can choose softball or baseball with four speed ranges to suit your swing. Our snack bar includes a host of goodies from pizza to funnel fries. 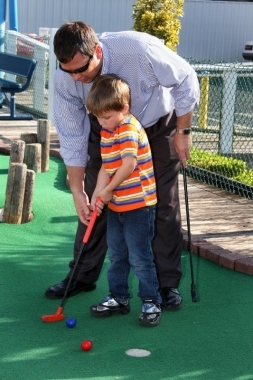 We are celebrating 28 years of family fun on the beautiful Gulf Coast and we are OPEN DAILY year-round. Visit our website for hours and specials. Fast Eddies Strike Zone with Softball or baseball pitching. Choose your speed. Nobody has reviewed Fast Eddies Fun Center yet, Be the first. You are submitting a booking enquiry. 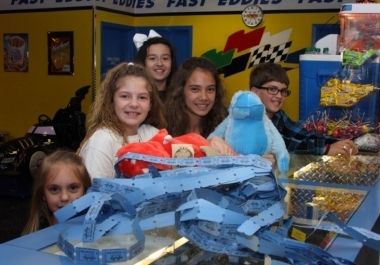 Fast Eddies Fun Center will then contact you by email with details of availability and prices.